Eliminating human mistakes is one of the main quality challenges facing manufacturing industry today. To overcome this challenge, Mitsubishi Electric has launched a set of Guided Operator Solutions dedicated to preventing mistakes in manual parts picking and assembly tasks. The system is field proven and is already enabling manufacturers from a variety of industries to actively improve their quality processes whilst also reducing their operating costs. To control picking sequences the system uses a combination of indicator lights, touch sensors, light curtains and door mechanisms that can be applied to parts selection bins. High resolution HMI screens are used to display assembly instructions and provide operator feedback whilst a full line-up of controllers provide a scalable solution depending on the application's complexity. Together these components form a solution that guides assemblers simply and effortlessly through the picking and loading processes of an assembly task. Once installed the system provides a lean strategy in human error prevention, delivering measurable quality and performance improvements for manual assembly operations. Mitsubishi Electric has already proven the effectiveness of the system by applying it to a manufacturing plant belonging to its sister company, Mitsubishi Electric Air Conditioning Europe, based in Scotland. 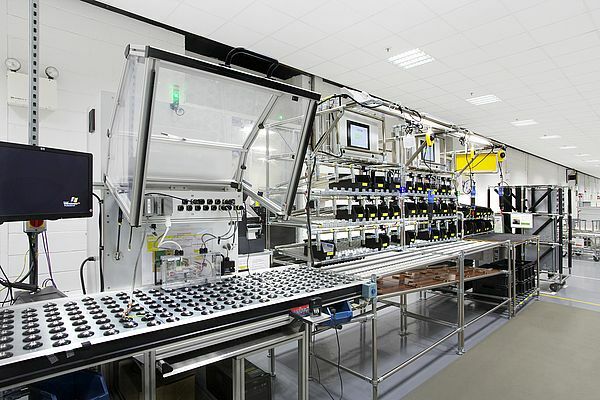 There, semi-automated assembly cells are used to manufacture a number of different products. Making several products in one work space meant that there was a high potential for operator mistakes and extensive training was required. Since the initial install, there has been a significant enhancement in the quality of the picking process and a reduction in training costs, which has increased the competitiveness of the plant. Mitsubishi Electric Air Conditioning Europe has been so satisfied with the initial results that they now plan a roll-out of the solution across the remaining assembly operations. From an operator point of view Guided Operator Solutions from Mitsubishi Electric address many of the common issues associated with manual assembly processes. These include making parts easier and faster to locate and replacing paper based instruction manuals with bright, clear display screens that can be updated quickly and easily. Live instructions can also be animated and timed to coincide with the pick sequence. All of which makes the assembly task far easier to complete accurately. At the heart of the system is Mitsubishi Electric's standard software suite, iQ Works, which enables setup and maintenance functions to be handled through one engineering tool. 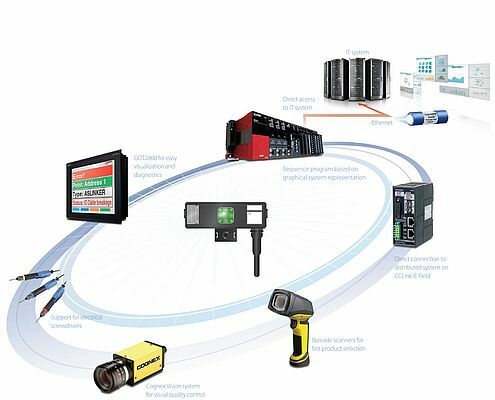 This provides an intuitive and cost effective method for setup, commissioning and maintaining systems on the plant floor. Another key benefit of the system is the direct integration with MES applications where new product specifications can be seamlessly sent to production cells and productivity data can be linked directly with resource planning systems. Furthermore, providing detailed production data to IT systems brings increased transparency and traceability to assembly operations. Typical deployments for the Guided Operator Solutions include the automotive industry, logistics, packaging, electronics assembly and the life science sector.